ASC Dahra, who won promotion before the Ligue 1 2010-2011, has made a good first season at top level, becoming number 13 in the league. 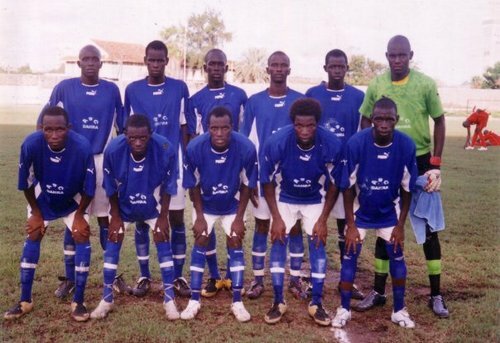 Not much was expected from this small-town club, based in the Louga Region of Senegal and escaping relegation must be classified as a success. a) consider the fact that they lost their top striker Abdou Latif Guenoune to AS Douanes after the first part of the season. Despite playing under 50 percent of Dahra’s matches, Guenoune still became top scorer with five league goals. b) consider the fact that the club almost entirely consist of inexperienced players, with only a few having played at top level in Senegal before. Besides lanky striker Guenoune, petit playmaker Fidel Gomis is arguably the player who has gotten the most attention. First-choice goalkeeper Macodou Diouf, central defenders Alphousseyni Camara and Mohamed Lamine Sarr, libero and team captain Moussa Gueye, midfielders Ibrahima Sory Soumah (most likely from Guinea) and Cheikh Tidiane Sene, as well as lively striker Arona Ka are other players who made a name for themselves. When ASC Dahra won promotion, Diouma Top was the star striker of the team, but the gifted player struggled to get amongst the goals. Please note that I currently have not found the scorer in the Round 23 match between ASC Dahra and ASC Jeanne d’Arc (1-0) on 27.07.2011. The picture of ASC Dahra is taken from djoloffweb.com.